Following the Splatfest announcement in North America, Nintendo has announced a new Splatfest for Splatoon 2 players in Japan. 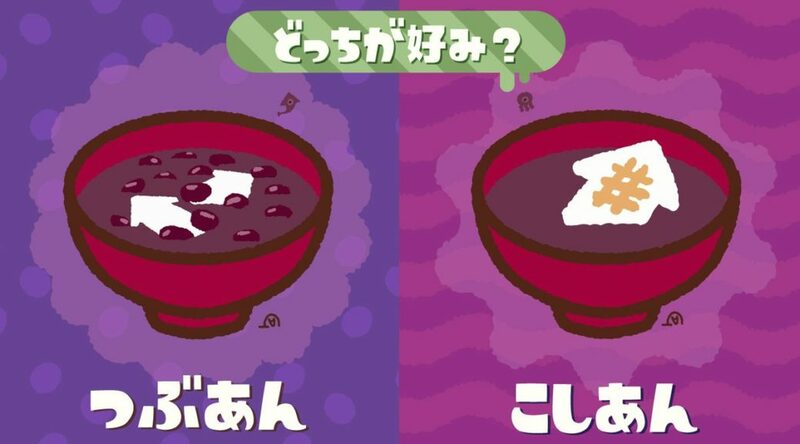 The theme for the next Splatfest is “which do you prefer? 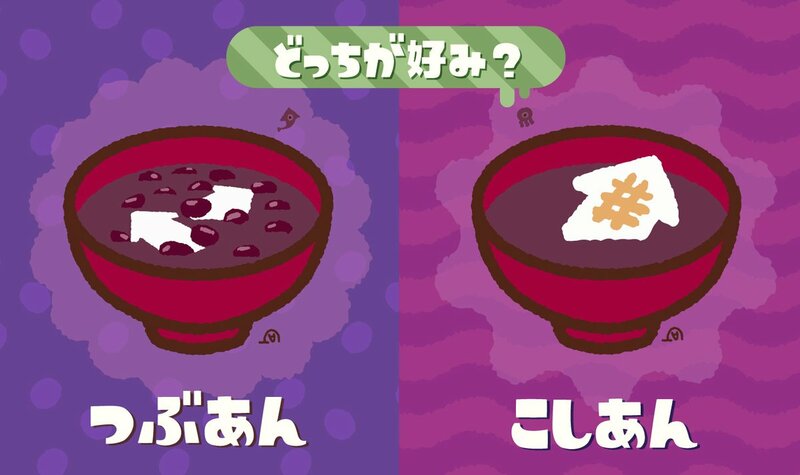 Tsubuan versus Koshian.” Tsubuan is a type of grain red bean paste, while Koshian is strained bean paste. The Splatfest begins September 23, 2018 3pm (Sunday) and ends September 24, 3pm (Monday). If you were wondering why the Splatfest is starting on a Sunday rather than a Saturday, that’s because there’s a 3 day consecutive holiday in Japan that week.